Among many other honors the price of the journal Science in 1995, one of the ten scientists of the year 2013 named by Nature, Marcel Benoist Prize in 1997, Balzan Prize in 2000, Shaw Prize in 2005, Kyoto Prize in 2015, etc. 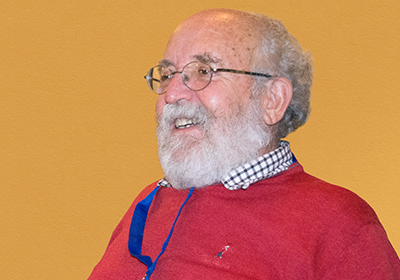 Michel Mayor at the PlanetS General Assembly in January 2015 in Anzère. Michel Mayor, the name will remain forever in the history of science as being the one of the astronomer who has proved to earthlings that other worlds are possible. That was 20 years ago, when Michel Mayor and Didier Queloz published an article in the journal Nature revealing for the first time the existence of an extrasolar planet orbiting a main sequence star. If like most of the discoveries that of 51pegb is partly due to chance, it is primarily the result of hard work and a great intuition. Indeed, when in the years 50-70 some astronomers imagine an instrument capable of measuring the radial velocity of stars, no one believes in it. No one but Michel Mayor, who will then have the audacity to build a device that will lead him to his discovery. 20 years and 1900 planets later, planetary science has become a flagship branch of astronomy. A branch now considered strategic for the Swiss government since last year it decided to fund the National Center of Competence of Research PlanetS led by the Universities of Bern and Geneva.